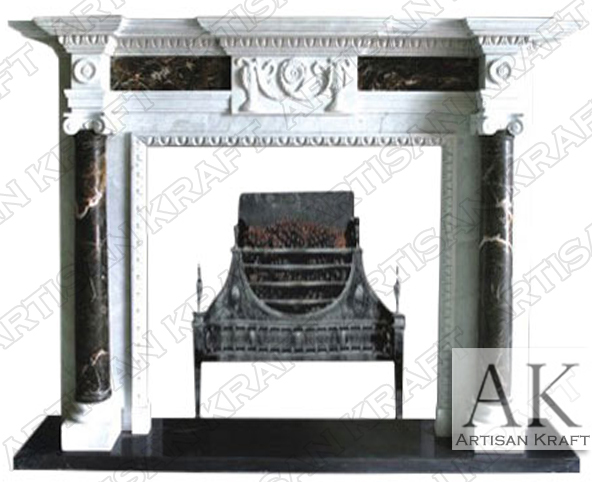 Imperial Barrington Marble Mantel has two Ionic marble columns on the two sides. This is a stunningly beautiful surround with statue and column carvings. Dental steps in the mantel shelf add to the royal feel of this fireplace mantel. Red marble inlay contrasts the white marble perfectly. The decorative columns are the most evident of the design details. 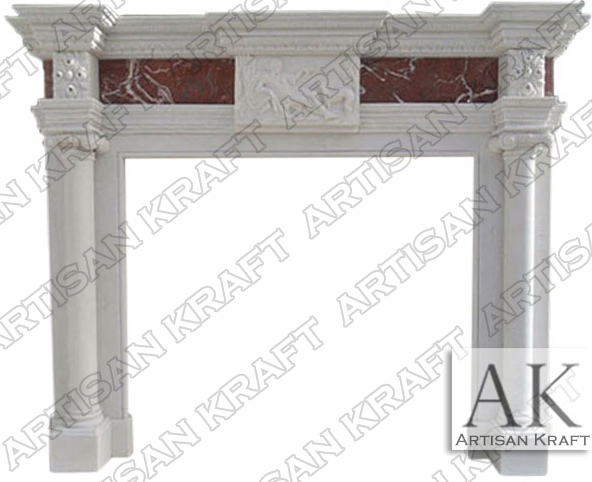 Column fireplace mantels are of the more classical traditional order of fireplaces. The Barrington is a fireplace stock item and is available for a quick delivery anywhere in the United States or the World. Typical Dimensions: 74″ wide x 52″ high *can be made to custom dimensions. Stone: Red marble, limestone, cast stone, limestone, sandstone, marble etc. Available in many different colors, textures and finishes.